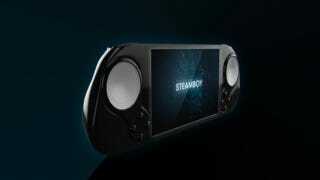 A Steam machine in your pocket? You've got be kidding us. And yet, that's exactly what we might get with the Steamboy. Announced and teased at E3, the handheld device isn't affiliated with Valve. Instead, it's an independant project backed by the SteamBoy Machine team, a third-party group. The specs are modest: a quad-core CPU, 4GB RAM, a 32GB built-in memory card and a 5" 16:9 touchscreen. But coupled with Steam's streaming functionality, the SteamBoy should be capable of running most PC games at acceptable frame rates.